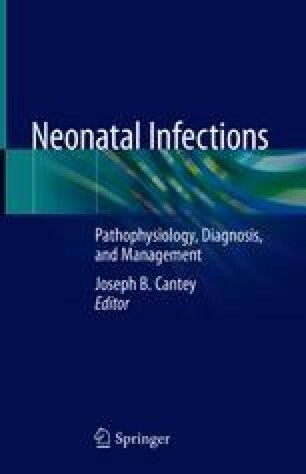 A neonatal intensive care unit (NICU) outbreak is identified by an acutely increased amount of disease activity, usually either a cluster of distinct infections or an increase in colonization rates during active surveillance. Common risk factors include NICUs with overcrowding, understaffing, or decreased compliance with standard precautions including hand hygiene. Acute changes, such as construction or contamination of equipment, are also common causes of outbreaks. Preterm infants are at higher risk due to their immature immune systems and prolonged NICU stays, but any infant can be affected. Control measures are multifaceted and should occur in parallel. Outbreak prevention requires extending control measures out indefinitely and maintaining high compliance with NICU policy. Centers for Disease Control and Prevention. Principles of epidemiology in public health practice, third edition. Self-study course SS1978. Available online at https://www.cdc.gov/ophss/csels/dsepd/ss1978/lesson1/section11.html. Accessed 28 Feb 2018. Hernandez AR. Deadly bacteria closes NICU for second time in months at Md. hospital. Washington Post, 2 Nov, 2016. Available at https://www.washingtonpost.com/local/md-politics/deadly-bacteria-closes-nicu-for-second-time-in-months-at-local-hospital/2016/11/02/7af3b70c-a11c-11e6-8832-23a007c77bb4_story.html?utm_term=.759978af9b22. Accessed 2 March 2018. Petersen M. Mother of baby who caught superbug says UC Irvine hospital didn’t tell her about the outbreak. Los Angeles Times, 19 April 2017. Available online at http://www.latimes.com/business/la-fi-uc-irvine-outbreak-mom-20170418-story.html. Accessed 2 March 2018.